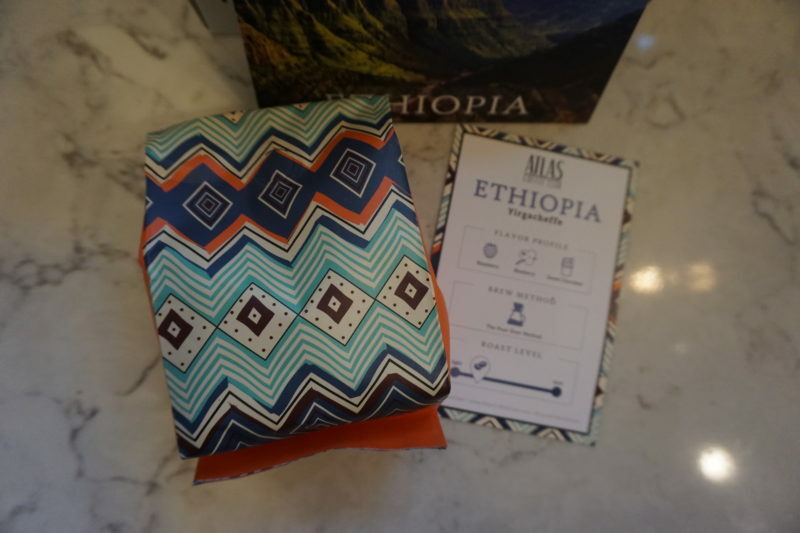 Disclosure: We received free samples of Atlas Coffee boxes to review. We liked it, so now we’re an affiliate which means we earn a small commission if you click on our link and become a paying customer (this comes at no cost to you). When I received an email from the good folks at Atlas Coffee Club asking if I wanted to try some free coffee, they immediately had my attention. After all, “free” is my favorite price to pay for coffee (and just about anything else). Overall, I was really impressed with what I received, and I’ve discovered that there’s a lot to like about Atlas Coffee Club. 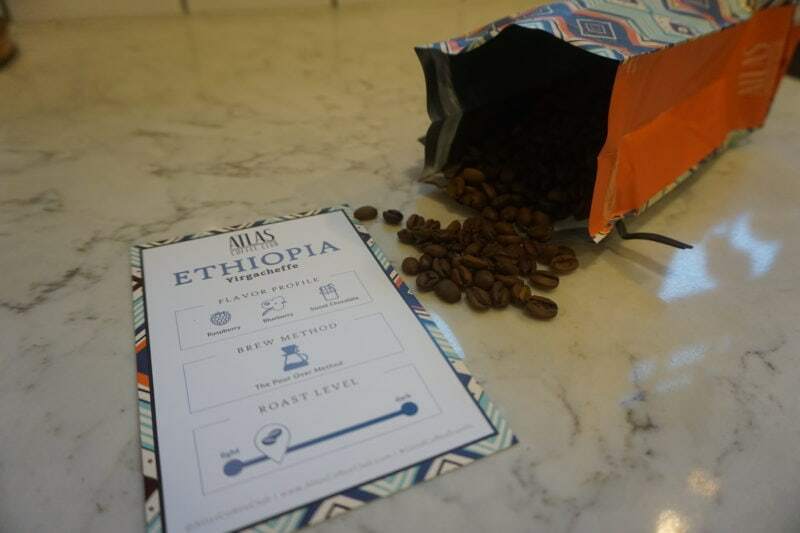 Here’s a closer look at what you can expect with an Atlas coffee subscription. Atlas Coffee Club was founded to tell the story of coffee from around the world. Exploring a new country each month, our coffee subscription is a journey of exotic discovery, highlighting the regional differences in every cup. Curating only the finest coffee, we roast each batch to accentuate tasting profiles distinctive to their native growing region. So with Atlas, you’re basically signing up for a tour of coffee from around the world – which is a pretty cool thing like that gives you something to look forward to each month (plus it’s a fun surprise). So if you want to have something that expands your opportunity to try new coffees and to discover unique and exciting flavor profiles, Atlas is a fantastic option. How Many Countries Do You Get Coffee From? Atlas is all about showcasing coffee from around the world and providing discovery. With coffee coming from over 50 countries, you aren’t likely to get bored anytime soon. Coffee has over 800 flavor and aromatic compounds. 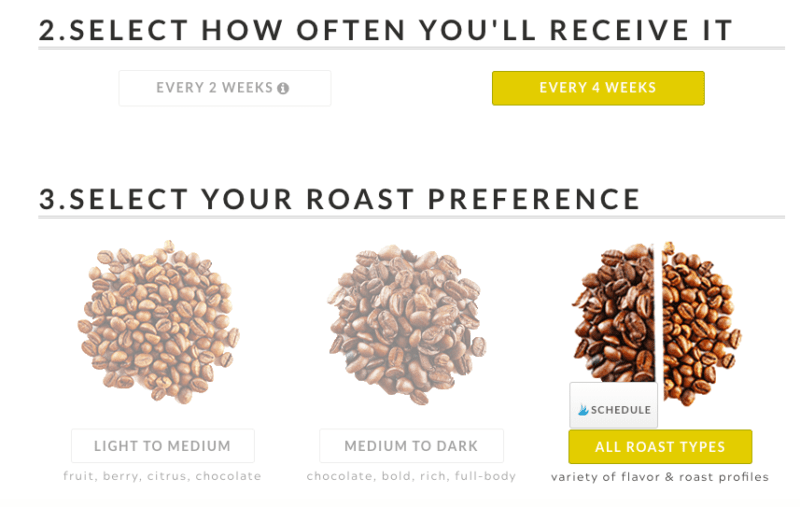 You’re probably familiar with the coffee flavor wheel. If you’re not, definitely have a look at it. 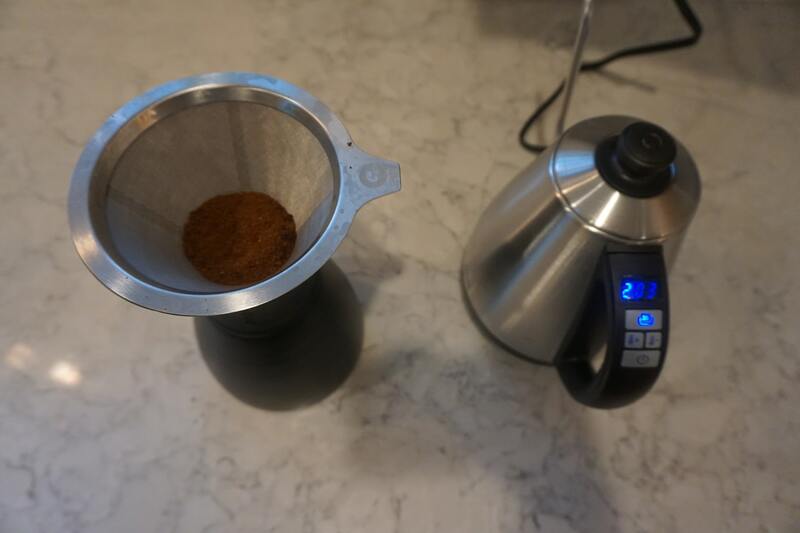 The serious coffee drinkers among us may actually use their own sheet and locate flavor notes they detect in a certain brew. It’s always fun to discover tasting notes like raspberry, toffee, black tea, nougat, apple, caramel, etc. On the Atlas website, you’ll start your subscription by answering a few simple questions. Choose a 6 oz bag, 12 oz bag, or go up to a double bag/ 24 oz order. From there, you’ll select if you want it monthly or every 2 weeks. Then, let them know if you prefer light or dark roasts – or if you’re good with any kind they want to send. The final question is whether you prefer whole bean or ground coffee. – Your own Coffee Passport – this is pretty fun. You’ll earn points for the number of countries you explore, the mikes your coffee travels, and for how much money you save by brewing coffee at home vs. buying coffee out at the shop! If you do some research online about Atlas, you’ll find they are gaining a reputation for dropping in some fun surprises like free coffee, gear, etc. I guess with any “surprise” you shouldn’t count on it being there, but it’s always a bonus when a company has a little bit of personality. 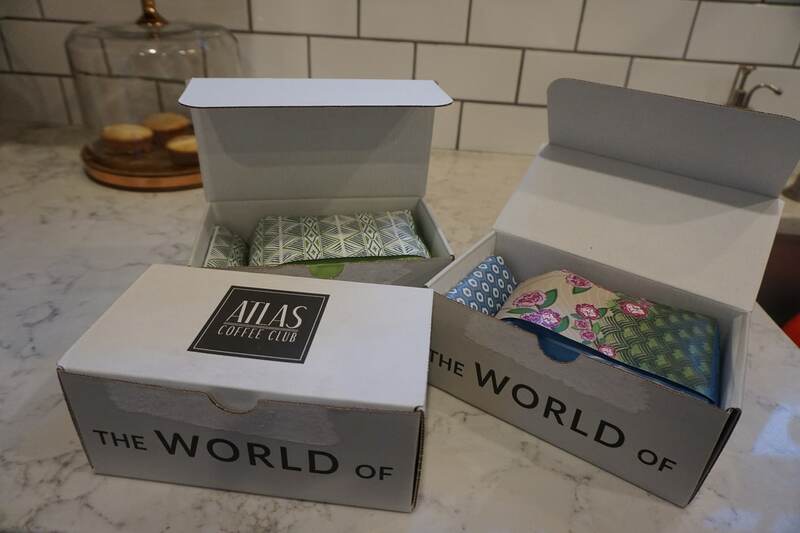 Atlas was generous enough to send me 3 different boxes of coffee to show a better sampling of what subscribers can expect. I was super impressed with the packaging and unboxing experience. There were some nice touches like a high quality postcard from the country you were exploring that month. 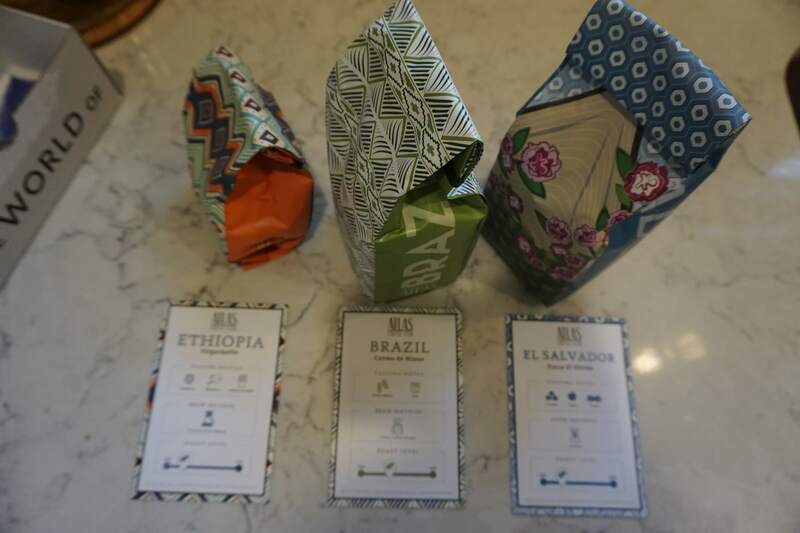 The cool designs on the bag match up with the border on the summary card as well – which doesn’t affect the flavor of the coffee – but it’s a nice touch that shows the level of thought that goes into the box you’re getting each month. 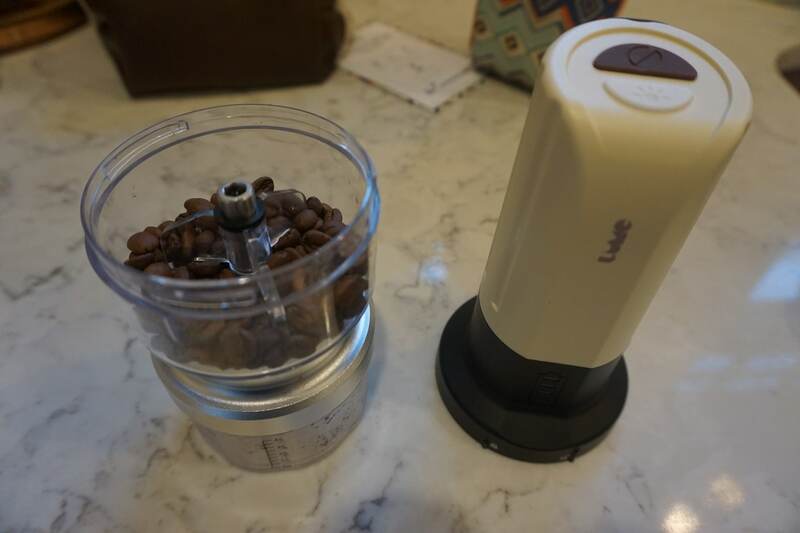 For my grinder, I tried out the Lume portable coffee grinder – which lets you set a coarse grind (ideal for pour over). And a few minutes later I was enjoying light notes of chocolate & berries from my Ethiopian coffee creation. Thoughts: I got a lot of the sweet caramel notes and bright green apple brightness with a nougat-like base. While it was a very balanced coffee it had some really fun tasting notes shine through without being overpowering. For a traditional coffee, this one had a lot of personality. 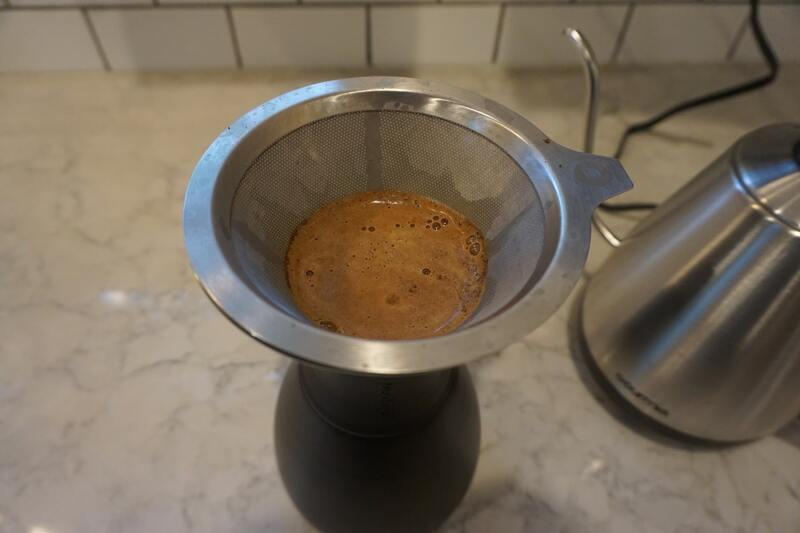 Thoughts: I loved trying a Brazilian coffee as a natural process. Kudos to Atlas for bringing this one on. The process and roast development really allowed for this coffee to boast tasty notes of jelly/jam and peanut butter. The subscription is suited for both coffee newcomers looking to have something fun and delicious to look forward to each month and for coffee lovers that are keen to discover new coffees and get offerings you can’t find the shelves. 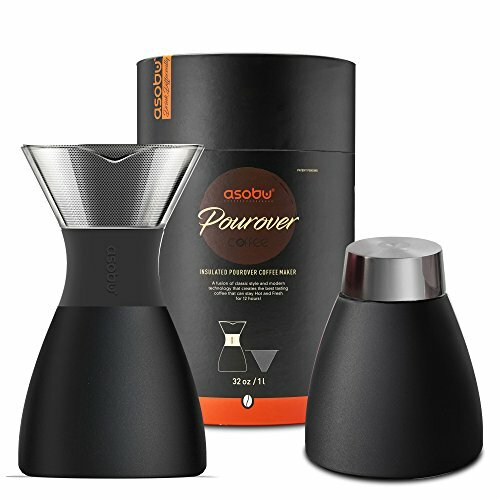 It also makes an excellent gift for coffee lovers. You can cancel anytime of course, but my guess is that you won’t want to. Click Here To Try Atlas Coffee and save 50% on your first month.